A tavern with the essence and spirit of yesteryear that favors the friendly meeting and to share great moments of bar. 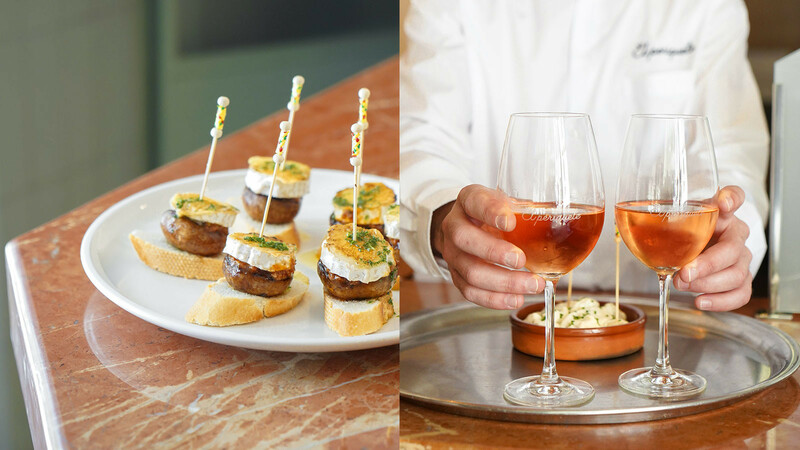 Located in the charming Plaza Weyler in Palma, and with a cozy terrace, in Periquete the pintxos in the purest style of the north, tapas and cazuelitas share the spotlight with wine and well-made cane. The gastronomic offer of Periquete is a tribute to our culture of good food and good drinking among friends and family. Enjoy an informal and relaxed atmosphere with that nod to the past that we like so much. 82/5000 Tuesday from 18:30 to 00h. Wednesday to Saturday from 11:30 a.m. Sunday and Monday Closed.